The Coastal Chiropractic Clinic is delghted to offer Complementary Therapies to new and existing patients. Please have a read through the information below and feel free to call to book! Massage, Aromatherapy, Reflexology, Hopi Ear Candling, Facials and Reiki are holistic complementary therapies. The holistic approach seeks to care for the person as a whole, looking at all aspects of their lives, lifestyle, diet, occupation and emotions, rather than just looking at symptoms of the current illness. A great number of today’s illnesses come about as a result of the stress and tension in the lives we lead these days. Following illnesses, stress, injury or disease, the body will very often be left in a state of imbalance, with the vital energy pathways blocked and this prevents the body and all its individual systems from functioning effectively. Complementary therapies offer relaxation and balance and when the body is relaxed and in balance it can cope with the everyday stresses more effectively. Complementary therapies can be used to target a specific physical, mental, or emotional problem, or as a preventative measure or purely for relaxation so whether you have a specific health problem or you just want to increase your feeling of well-being or simply relax more, why not try one of these beneficial therapies and see what it can do for you. When our bodies are massaged, it releases built up toxins and chemicals from the muscles and surrounding areas. It brings a fresh blood supply, nutrients and oxygen to the muscles. Fatty tissue is also manipulated, and it can help to break down adipose tissue (Fatty tissue). Massage can help with fatigue, stress, improve concentration, relieve anxiety and depression and release tension. An Indian Head Massage can help alleviate headaches, increase concentration, memory and help the hair grow. Aromatherapy is such an amazing treatment, it is very under rated. The oils used have a host of benefits and are tailored the individual. The uses of oils heal the mind, body and spirit. 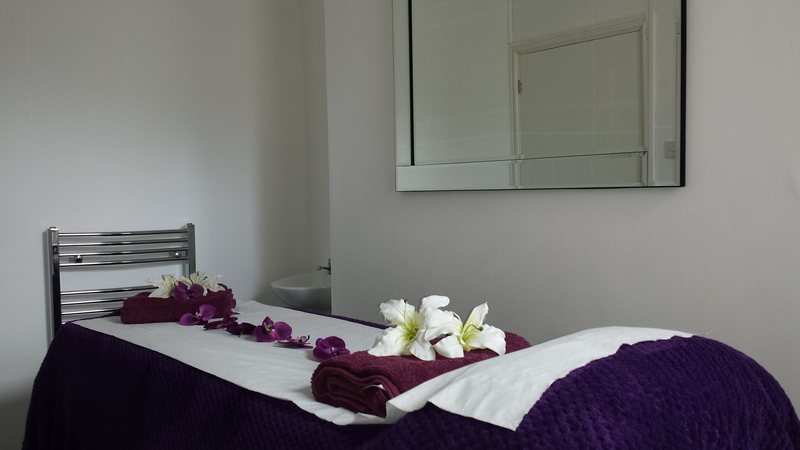 Using a personalised blend of oils a very gentle massage is given which can prove to be very soothing and relaxing. A facial using just one essential oil is also included in the session; the face is gently massaged using lots of drainage movements. After care advice is quite in depth with suggestions of various oils for home use. Reflexology is a healing technique that focuses on the feet. Your feet are home to hundreds of nerve endings. Reflexology is based on the principle that these nerve endings called reflex areas, correspond to all the different glands, organs, and internal and external systems of the human body. Over time Crystalline deposits build up in the feet; these deposits block the nerve endings and decrease the flow of energy throughout the body, by applying pressure to these reflex areas and breaking down these deposits it enables the body to heal itself and allows health to be restored in the corresponding organs and parts of the body. Hopi Ear Candles are actually hollow tubes, and made of natural ingredients – cotton or flax impregnated with beeswax, honey extracts, herbs and essential oils. The hollow candle acts like a chimney and lighting the candle generates gentle warmth and there is a mild suction which will draw out impurities from the ear into the lower section of the candle. The rising air inside the ear then sets up a vibration which gently massages the eardrum. This helps to regulate the pressures involved inside the ear. The effect is sometimes described as a "lighter feeling" in the head and ear. Hopi candling is a very safe and gentle therapy and is particularly popular with clients suffering from conditions such as tinnitus, sinusitis, excessive ear wax and hearing loss, and stress-related headaches. Having a facial treatment is usually a relaxing experience, which can be enhanced with the use of an essential oil with relaxing or stress-relieving properties. Facials involve a cleansing procedure, massage and the application of a facemask. What they help to do is remove the dead, dull outer layer of cells that make up the skin's surface or epidermis along with pollutants. The massage, which is an important part of a facial, helps blood circulation, which in turn aids lymphatic drainage (the removal of toxins and waste from the body). A massage also relaxes the facial muscles and is very important to delay the onset of wrinkles. The application of a facemask in the end helps tone and clarifies the skin. Facemasks are also used to treat dry and acne-ridden skin. Reiki (Re- universal and Ki – life force energy) is a natural healing modality which originated in Tibet. Reiki is a natural therapy which gently balances life energies thereby helping to bring well-being to the recipient. Life energies can be disrupted, weakened or blocked by many situations occurring in our lives. Reiki works on all levels of mind, body and spirit. The main benefits of Reiki are stress reduction and relaxation. When we are relaxed and stress free we are able to restore our natural ability to heal. Reiki helps to trigger the natural healing ability of the body and improves and maintains health encouraging healing of any physical, mental, emotional or spiritual issues. Reiki complements any health care the patient receives from elsewhere. The practitioner will ask a few questions to learn about the recipients’ current state of well- being. The recipient will remain fully clothed and will lie down and relax on the treatment couch. The practitioner will deliver Reiki by holding their hands above the body or through light and non-invasive touch on the front and the back of the whole body.